Here’s a situation we run into regularly. Our customer wants to print a paper poster and put it in a store window. You can tape it up, but that’s ugly and not terribly professional. Besides that, they tend to curl and get frayed over time. They start to look dingy. Enter our new product- Print Face Adhesive. This material is clear as glass, and can be applied to the face of a print. It’s a strong adhesive on the paper side, and “sticky note” adhesive on the glass. It comes to you with a release liner like any adhesive material. It goes up easily, can be removed leaving no residue, and if you don’t get it on straight the first time, it can be repositioned. It’s always been a tricky thing for us, because you want to put your window sign inside the store, but you want it to be readable from outside. This allows you to do just that. 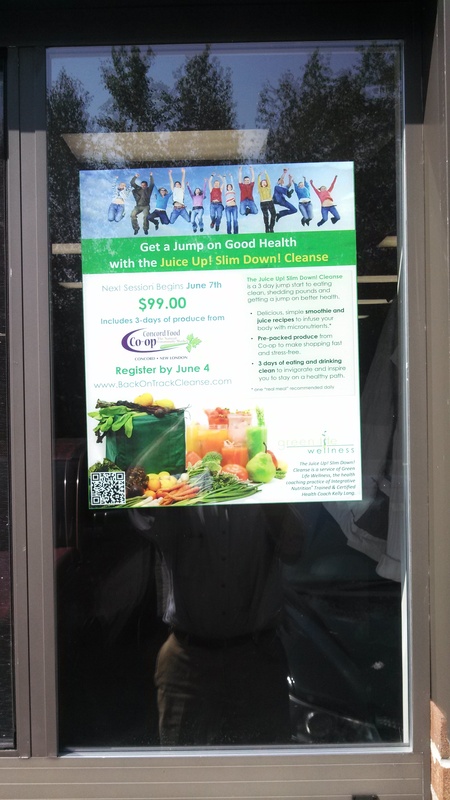 This entry was posted in Poster Printing and tagged store posters, window graphics, window posters. Bookmark the permalink.